Philosophy seminars tend to be of two different types: “breadth” seminars attempt to study a number of the central topics in an area of philosophy, while “depth” seminars focus in on one such topic. 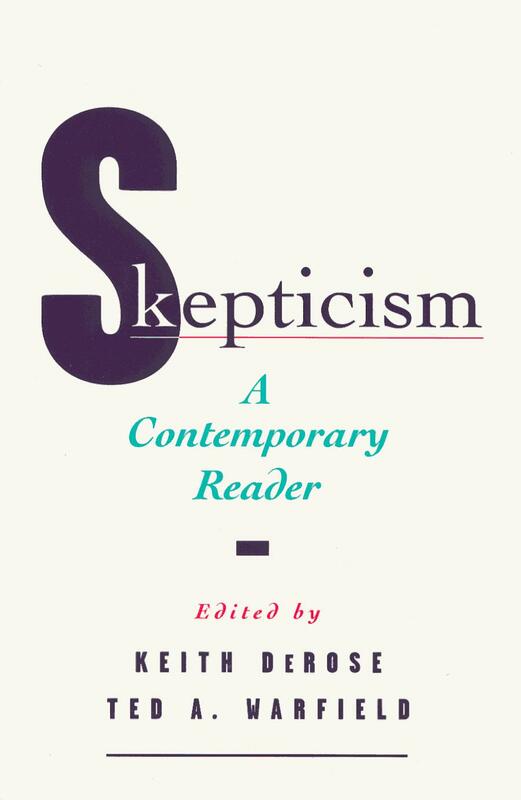 Thus, in epistemology, a depth seminar might focus on the topic of skepticism, or naturalized epistemology, or internalism vs. externalism, or foundationalism vs. coherentism, etc., while a breadth seminar would sample many such topics. But in looking at The Blackwell Guide to Epistemology, a book ideally suited for a breadth seminar, one is struck by how many of the pieces in the book devote substantial space to skepticism, indicating how heavily recent treatments of other epistemological topics have been influenced by their interactions with the topic of skepticism. This in turn suggests that one might, in epistemology, attempt a seminar which, by exploiting these connections, is both a breadth seminar, covering various topics in the field, while it at the same time constitutes an in-depth look at the topic of skepticism. We will try to pull off just such a seminar this spring. It will be quite an ambitious undertaking, but I’m convinced that it’s possible. We’ll see. Of course, we won’t be able to look very carefully at the topics other than skepticism. Still, by the end of the semester, students should have a good feel for what’s happening throughout current epistemology. Readings not from the textbooks will be in a reserve file for reading at the Philosophy Department. 1. Draft/Presentation. Each student will make an approximately 20 minute presentation to the seminar. By noon on the Friday before the presentation is made, the student will submit a 5-8 page draft paper, on which the presentation will be based. 2. Paper. A 12-16 page (typed, double-spaced) paper will be due at the end of the seminar. It is not only allowed, but advised, that the paper be on the same topic as the “draft/presentation” in the above requirement, and that an appropriately revised version of the draft constitute a major portion of the final paper. 3. Questions. Each student will turn in an essay question for five of the topics, 2-9. These are due at the start of the seminar on the first date that the topic is scheduled. 4. Participation. Each student will be expected to attend seminar regularly, to participate cooperatively, and to read the other students’ drafts before they are presented. 1. What Is Knowledge? : January 12. Note: This is our first meeting. Please try to, if possible, have the below listed papers read before our first meeting. Gettier is available in the phil. dept. Check out The Epistemology Page.